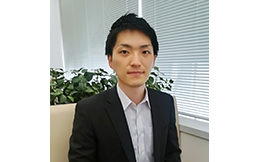 I’m Shogo Ohyama as software engineer for Fujitsu Ltd. I develops Interstage XWand processing library and GUI tools. In addition, I’m a chair of XBRL Japan development activity from 2014. In this activity, we discuss about latest XBRL technology. Recently, we are interested in AI technology and we are considering how to analyze the XBRL data using AI. In my presentation, I would like to introduce about the data usage of EDINET data and the result of our study. One of the key global technology developments is the rapidly increasing maturity of Artificial Intelligence systems that use powerful algorithms to take data analysis to the next level. Will it make today’s organisations more efficient? What does it mean for today’s business reporting professional?